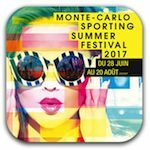 From 28 June to 20 August, Monte Carlo SBM organizes concerts and shows in the Principality. The highlights for us this year are [-], but there are plenty more international stars and musical shows to suit younger fans and Italian and French audiences. With a hugely successful career, [-] performance is the most expensive at 1000 euros, which includes dinner beforehand, but excludes drinks. [-] can be seen for just 60 euros, performance only. Click through the links below for more information about each show. Smart dress is required at the dinner shows, where gentlemen should wear a jacket, and tuxedos are mandatory for gala evenings. Children under 7 are not admitted, and older children must be accompanied by their parents.